After 90 days of imprisonment, there is no formal accusation against the artist, Danilo Maldonado. 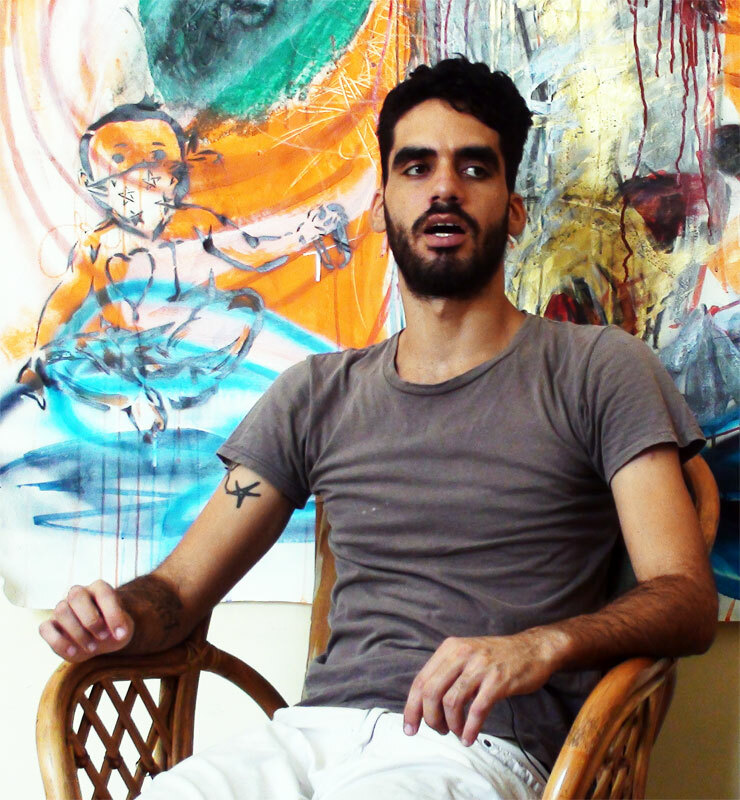 Laritza Diversent, Havana, 25 March 2015 — Authorities are still imprisoning the artist, Danilo Maldonado, known as “El Sexto” (The Sixth), who was detained arbitrarily by the police. Maldonado, 31 years old, is an urban artist and painter who finds himself accused of “aggravated contempt,” a charge that the Cuban State uses to incarcerate people who are critical of the Government. He presently is serving 90 days in preventive custody in Valle Grande, on the outskirts of the Capital. Both names are common; however, the authorities assumed that they disrespected the Castro brothers, and they could impose on him a sanction of between one and three years of prison. Cubalex presented an appeal before the Havana tribunal for the authorities to explain the motive for the detention, a recourse that was denied. The prosecutor didn’t even formally present the accusation before the tribunal. Maldonado’s lawyer asked the authorities several times to allow him to await trial in liberty, which request was also denied. In Cuban law, the crime of “contempt” is an amplified term that includes defamation or insults toward other Government employees, and it carries aggravated penalties when it is committed against the Head of State. The Inter-American Commission of Human Rights has said that this type of rule goes against freedom of expression and the free demonstration of ideas and opinions, which do not justify the imposition of sanctions. Let’s not forget that all those people who exercise public office or are important statesman, like the Heads of State or the Government, can be legitimate objects of criticism or political opposition. Freedom of expression should take place without inhibition in the public debate about Government officials. Let’s ask the Cuban State to guarantee and respect Danilo Maldonado’s right to freedom of expression, without restrictions. Furthermore, let’s ask the international community to speak up for his freedom and his right to a fair trial. Cubalex, the Center of Legal Information, is located in Havana, Cuba. We are a non-profit organization founded in 2010, not recognized by the Cuban State. We offer free legal advice on housing, migration, inheritance, criminal appeals, constitutional procedures and defending civil and political rights, in the national and international arena, to Cuban citizens or foreigners who request our services.